Poetry: Fire by Kati West Peters | LADY. I was in love with a boy, but no one could tell. I did a good job of hiding the fact. He knew all there was to know about fire. He knew what it meant when fire burned green. He knew how to start a fire without a match or a lighter, even though he always had one with him. After working hard or while relaxing, he’d pull out his lighter and watch fire burn. He would stare at it, in a daze. “It’s burning copper,” he would say. And, of course, he’d be right; the small fire was green. 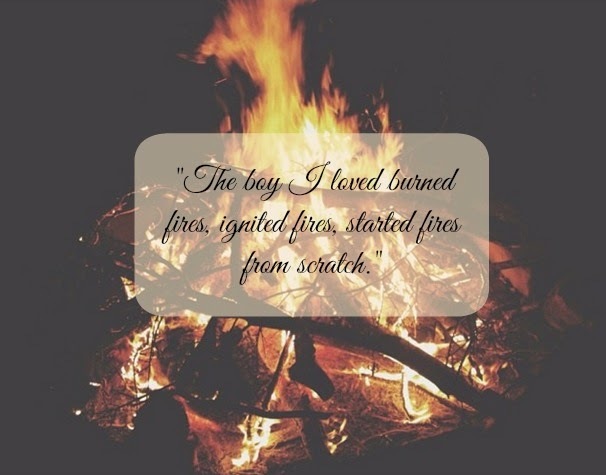 So, yes, the boy I loved burned fires, ignited fires, started fires from scratch. He knew so much about fires. Except for the one he’d started in me. 2 comments on "Poetry: Fire by Kati West Peters"